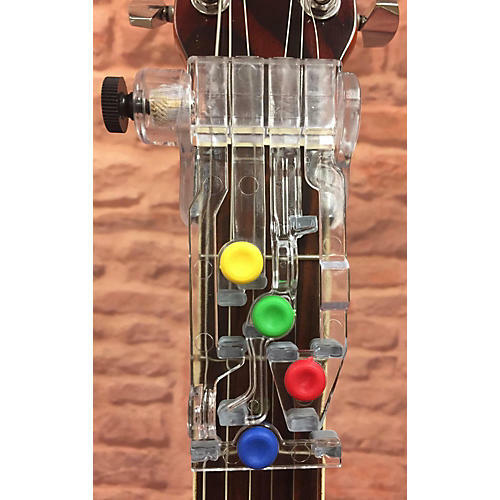 This product is the ChordBuddy device that clamps on to most right-handed electric and acoustic guitars. It is intended for use in the classrooms where multiple guitars are used by students. It comes with no instructions or songbook.